I LOVE home decor…. I am always drawn to buy new items. I really love apothecary jars. I have 6 in my kitchen. Some serve a purpose (holding flour and sugar). Some are just for decor. Here is my favorite grouping/use for my jar. 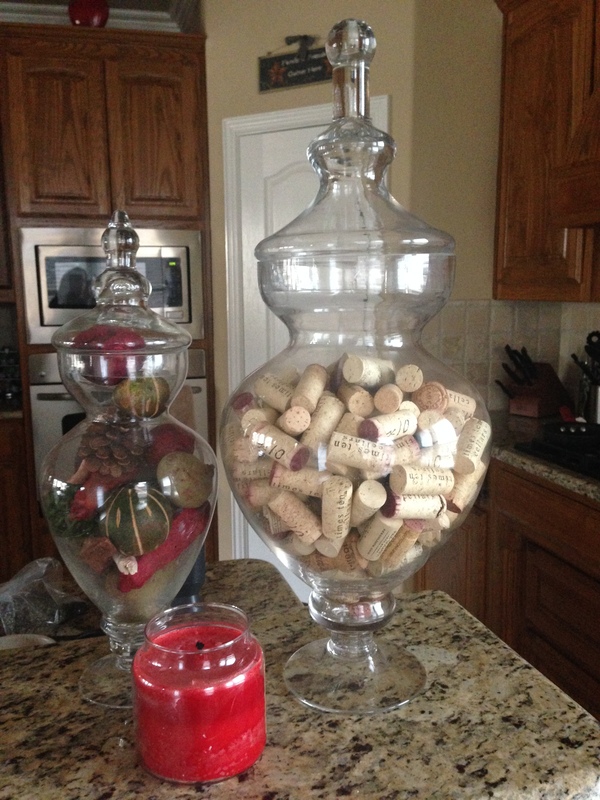 WINE CORK HOLDER! I plan on saving them and using them in another project but it is so fun having friends over and adding to the jar. It is like a jar full of fun memories! I feel the best place I have found these at is HomeGoods… They usually have a great variety or sizes/shapes and sometimes even colors! Both below are from there AND found a great Yankee Candle on sale there too!